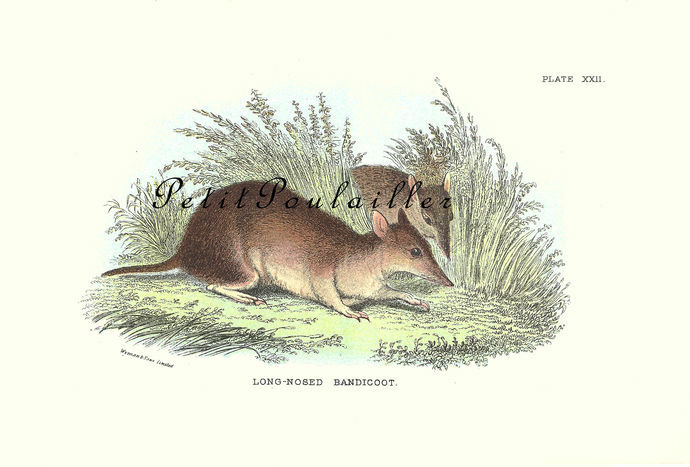 From Edward Lloyd's 1887 Victorian natural history volume on marsupials, here is a wonderful hand-colored engraving of the 'Long-Nosed Bandicoot'. The heavy paper is blank on its reverse, measures 5" x 7.5" (13x19 cm) and is smooth and clean, showing little tanning. The edges and corners remain sharp and the hand-colored engraving is wonderfully vivid and bright. What a wonderful image to frame for your home decor, fantastic to use in your art - card and tag creations, scrap-book page making, collage. 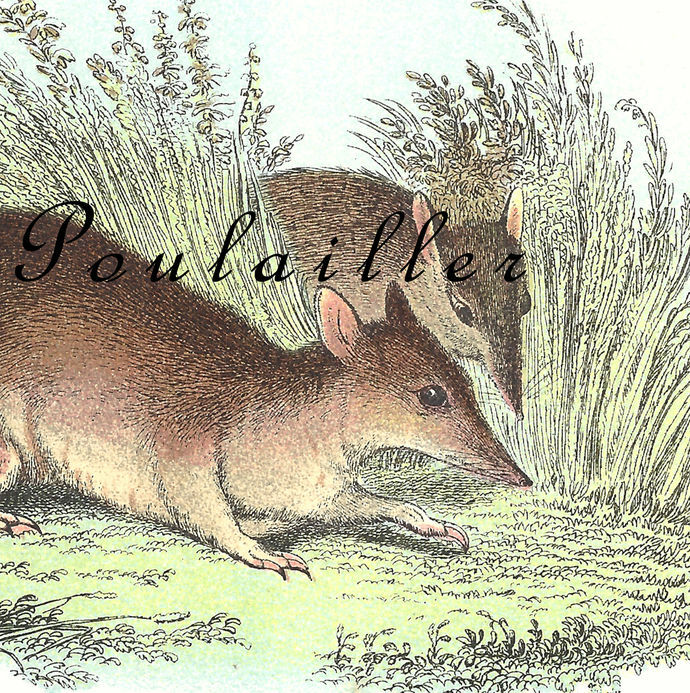 You are purchasing an original 1887 paper and it does not have watermarks. I will send this to you flat, protected, and by USPS 1st Class mail.